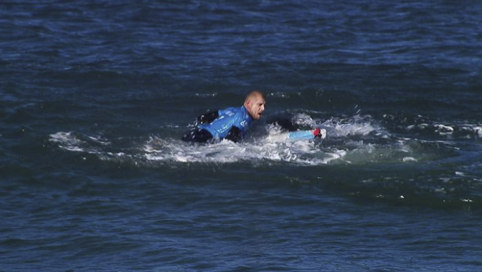 And now we have the mighty Mick Fanning whose video of him punching down a great white shark has gone viral in the best of ways. His has quickly become a household name, and what he did puts him high on the superhero-o-meter, as far as I’m concerned. 1. First of all, the mere fact that he’s a professional surfer is a teachable moment that can begin conversations about Persistence, Dedication, and Finding one’s passions. He had to practice for years to get to the level in which he competes. 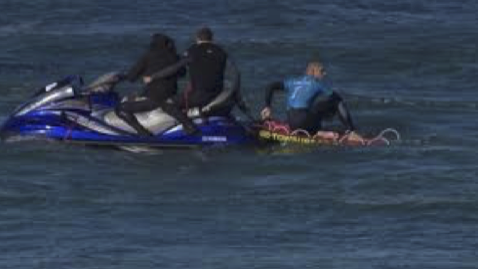 Here’s a video of his Semifinal run during the J-Bay Open event as evidence of his surfing ability. 3. It’s at this point that Fanning turns and takes care of the problem himself. He gets pulled off the board and hits the shark in the back. 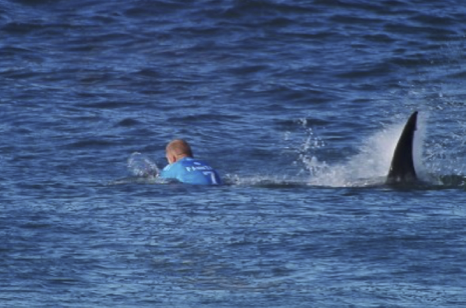 “Fanning’s still swimming in his own right,” towards the beach and “is still in the water,” declares the event’s announcers. It’s important to mention to students that when tackling their own issues in the classroom and in the world beyond, it will be up to them to ultimately fight off their own demons, fight their own battles, and help themselves to solve their own problems first before seeking help from others. Bottom line: Mick Fanning had to beat back the shark independently or he would not have survived. He pulled from a strength he most likely didn’t know he had, at a time when he least expected it and hadn’t planned for. Problems will not wait until you are ready to tackle them. You have to pull your solutions from yourself when you are sometimes least ready for them. From here, you can talk about other athletes who have made heroically humane choices over competitively inspired ones. Here’s a link to a Sydney Morning Herald article that lists a number of possible moments in sport history. 6. As follow up, you can have students create memes from the event that can focus on different kinds of moments and points of view. Will their meme be from the point of view of the shark like this one? Or will their meme be about heroism and Fanning’s amazing act like this one? Use free tools like Memegenerator.net to have students hone in on a particular concept and use meme generation to help teach getting to the gist of that concept. There’s much students can learn about the events going on around them in the world beyond school. Use what’s in the news and what’s become pop culture to teach the kids anything from core content to character traits. ??????? ??? cm - ??????? ??? cm ?????????????????????????????????????????????????????????????????????????????????????? ?